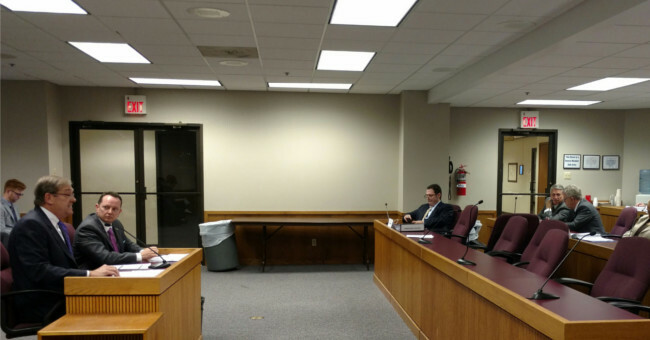 Last night, I had the honor of testifying on behalf of the Missouri Firearms Coalition as the Chairman of the Board in support of HB 1468 – Constitutional Carry legislation for Missouri. It was clear that members of the committee had been receiving your phone calls, emails and Facebook messages – loud and clear! I couldn’t help but notice as I sat in hearing Room 5 waiting for my chance to testify that not a single person or organization turned out to oppose this important legislation. As a reminder, Constitutional Carry is a very simple idea. If you’re legally allowed to own a firearm, you’re legally allowed to carry that firearm for self-defense with no additional permits, hefty fees, or bureaucratic paperwork. In short, it’s the Second Amendment the way it’s designed to be. The response last night in the Emerging Issues Committee was very encouraging -– but you and I have been here before. Constitutional Carry got exactly this far last year, and no further. That’s why I need you to make another round of phone calls right away! Dr. Curt Fraizer, Chairman of the Board for Missouri Firearms Coalition testifying yesterday before the House Emerging Issues Committee in Jefferson City. You see, last night’s hearing was an important and necessary first step but the Emerging Issues Committee still has to meet in Executive Session to take the next step of advancing this bill out of their committee and on to the next phase of this process. While we face no organized opposition last night, there are certainly radically anti-gun members in the Missouri legislature who will undoubtedly whipping anti-gunners into a frenzy after the successful hearing we had last night. Representatives like Stacey Newman, Mike Colona, and others are undoubtedly trying to mobilize opposition to support legislation as we speak. That’s why it’s important to contact the members of the Emerging Issues Committee right away. Insist that having completed this hearing, they take the next step and advance this legislation out of the committee at their Executive Session meeting which may take place as early as this Thursday! Once you’ve made your calls please forward this email around to all your pro-gun friends and family and encourage them to do the same thing. 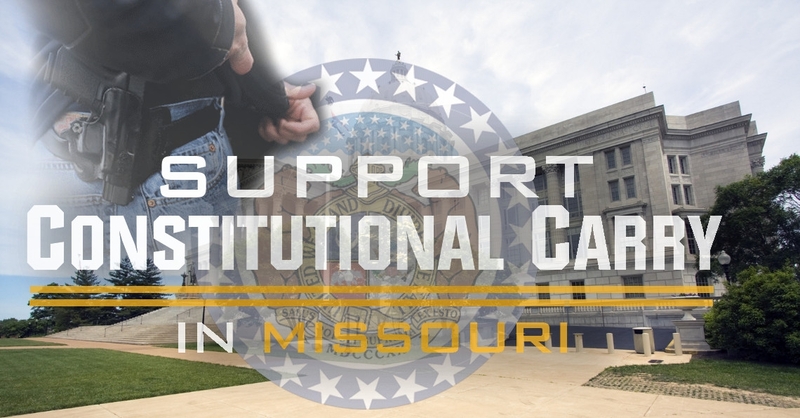 Constitutional Carry is truly on the move in Missouri right now — as evidenced by all the MOFC members who came out hear and witness last night’s hearing. Representative Burlison knows it. Emerging Issues Chairman Elijah Haahr knows it. The media knows. But now the anti-gunners know it too. That’s why your continued calls and emails to your legislators are absolutely crucial. I hope you’ll also consider a contribution to the Missouri Firearms Coalition to help us mobilize as many Missourians to this fight as possible. Your donation, whether $500, $250, $100, $50 or just $25 will be put to immediate use to rally Missourians behind this important legislation. But please make your calls and send your emails today, that’s most important. P.S. It’s clear that the members of the House Emerging Issues Committee are hearing from you as we faced virtually no organized opposition last night in the hearing on HB 1468 – Constitutional Carry legislation. But the anti-gun members of the House are undoubtedly mobilizing as we speak to throw up road blocks on Constitutional Carry. The next step of this process is for the House Emerging Issues Committee to advance this bill up to their Executive Session which may take place as early as this Thursday! Please immediately call and email the members of the committee and insist they advance this crucial legislation out of their committee for further consideration! Once you’ve made your calls and emails, please consider a generous donation to the Missouri Firearms Coalition to enable us to mobilize as many Missourians to this fight as we possibly can.